“I looked my mom right in the eye and said, ‘I wish I could jump off this building right now’”. 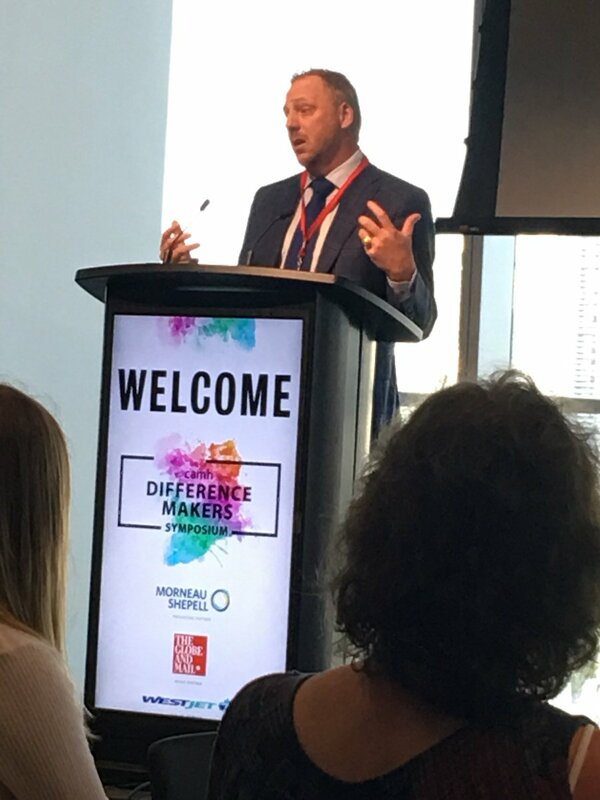 There was not a dry eye in the room as Corey Hirsch, a retired Canadian ice hockey player and former goalie for the Vancouver Canucks, told his emotionally raw story of his battle with obsessive-compulsive disorder (OCD). Corey described how he seemingly had it all. After being drafted by the New York Rangers at the age of 19, Hirsch was awarded the CHL Goaltender of the Year only a year later. But Hirsch’s success in his hockey career was overshadowed by the dark thoughts inside his head. Thoughts that nearly caused him to take his own life. Fearful of the shame and humiliation from his coach and team members, Corey kept his inner struggles to himself for years, until one day, he decided to seek help. Being diagnosed with OCD brought a sense of relief, knowing that there was an actual diagnosis for what he was experiencing, and that he wasn’t alone in his struggles. Corey played hockey for ten more years following his diagnosis, and now spends his time as a freelance TV analyst for NHL on Sportsnet. Corey continues to share his story, in hopes that those who are also struggling have access to mental health resources. He also encourages everyone to reduce the stigma surrounding mental illnesses, so people do not have to be afraid to share their story and seek help. Robb Nash never imagined he would become a musician. In fact, his lowest grade in school was music. But after waking up in the hospital after surviving a car crash that left him with a fractured skull and was pronounced dead by first responders, Robb’s life changed forever. But he doesn’t want people to get the wrong idea. When he woke up, he wasn’t inspired to start a career of mental health advocacy… he was flat out angry. This anger eventually led Robb down a long and desolate road of depression and suicidal thoughts. Robb found strength through the creation of his band, the Robb Nash Project. The band uses their musical platform to share their story and perform songs about mental, showing others who are struggling that there is light at the end of the tunnel. Nash’s arm is filled with tattoos of the names of those who gave the band their suicide note, saying their music gave them hope. 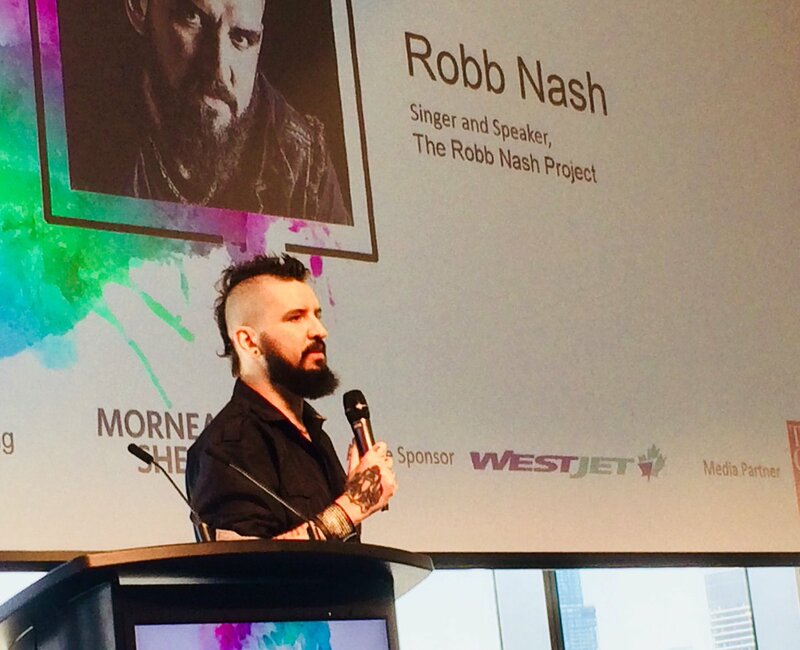 The Robb Nash Project continues to travel to schools and detention centres across Canada to share their story and encourage young people who are struggling that they don’t have to suffer in silence. 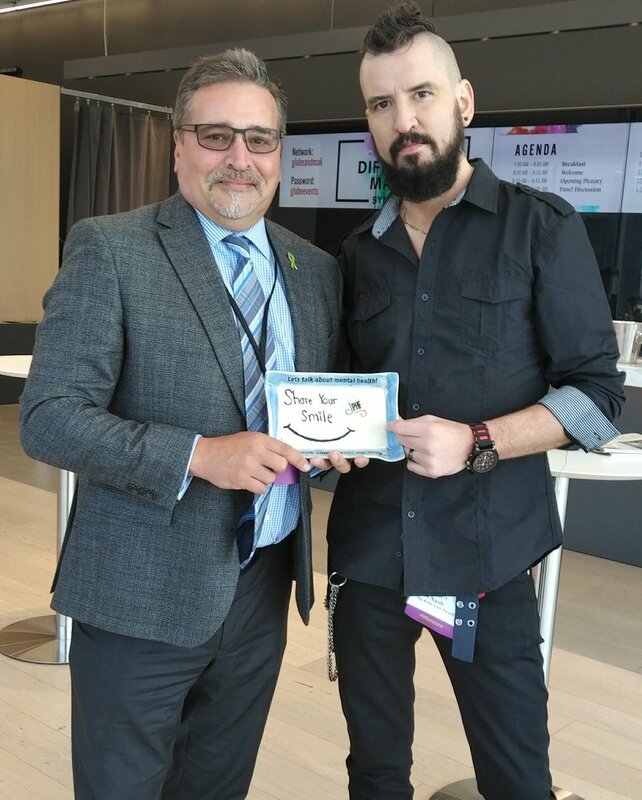 Robb was given #ConvoPlate 623 and we are looking forward to seeing where it travels.